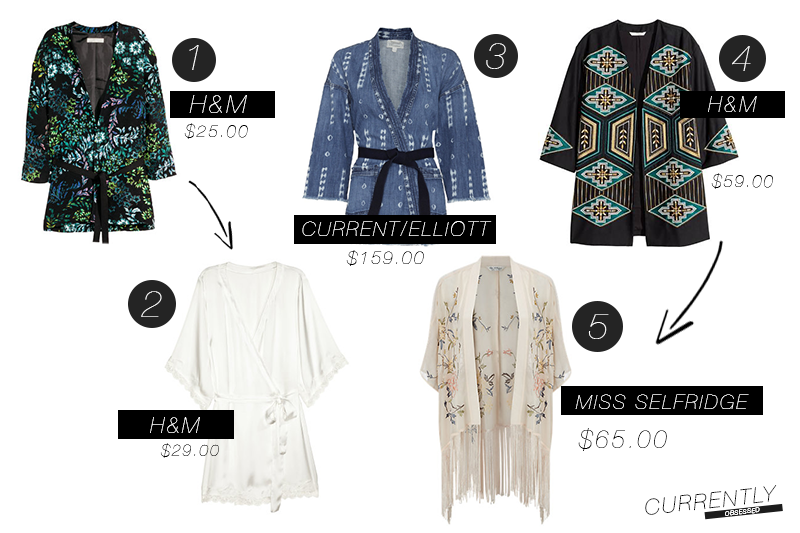 I've been noticing that Kimonos have been making a such a huge statement, especially on the streets - long, short, asymmetrical, however you like! With summer around the corner, colors like rosy or bright pastels against cream satins are making me swoon (yass). It's a refreshing take when pairing such a traditional jacket/cardigan with a casual laid-back look! Just pair your favorite boyfriend jeans or flares with a basic blouse/tee and you're set. I've been eyeing this trend for a while, and thought it'll be cool to show you certain ones that I've put on my wish list, and that are AVAILABLE RIGHT NOW. Or until next your paycheck, since the last one went to Zara and Chinese takeout. It's almost FRIYAY! Enjoy the rest of your week!